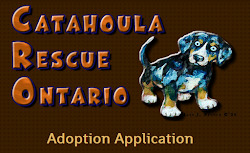 Catahoula Rescue-Ontario: Meet Otis ADOPTED! Otis is an adorable Boxer mix between three and four months old (as of Jan1 2014). This boy lives to play! Otis is adored by his foster family, both two legged and four legged. He is doing very well with house training - he still has the odd accident, but is now tapping on the door to go out. Otis spent a few weeks living with kids and absolutely adored them. 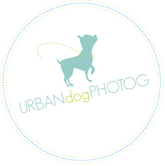 He has lots of energy, so he would sure love to have another playful dog in the house. He currently lives with 3 other boxers that are teaching him the ropes - he does best with a dog that keep him in line, and of course play play play! He is not tested with cats. We are still working on Otis' crate training - he goes in no problem but will wine for a bit once left alone. He knows sit command and the word cookie. With the right amount of exercise and attention he deserves, Otis will be an amazing dog. He is handsome, smart and brave. His foster family has only had him a short time, and they already know they will have a very hard time parting with him. If you have the time and space for this sweet little man, he will definitely melt your heart.